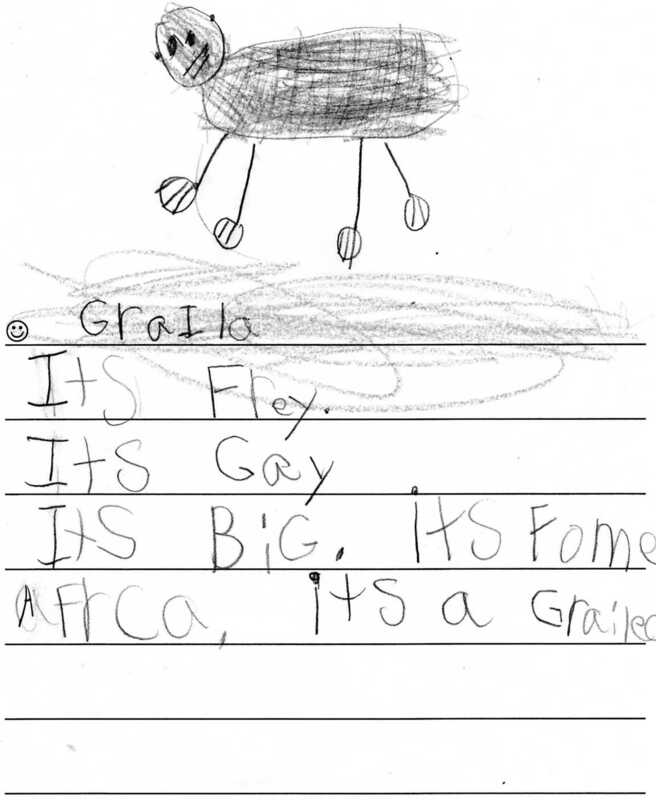 What she intended it to say is: "Gorilla. It's furry. It's gray. It's big. It's from Africa. 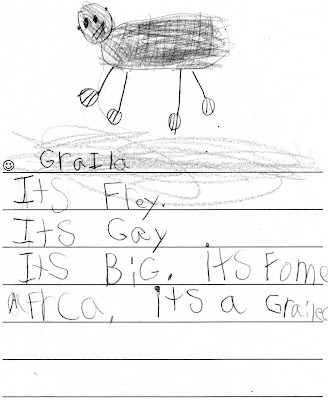 It's a gorilla." But I think the way she wrote it is much, much better. Because really- there are just not enough big, furry, African, gay gorillas in the world!